DJ Danny Williams will play Argentine Tandas with Ballroom, Latin, Swing and Country Cortinas. Broadway Show “Tango Pasion” and the owners of “Tango Bravo” group Maestros Monica Romero and Omar Ocampo (“Los Ocampo”). Omar and Monica will do a little tango demonstration at this event as well. General admission $15 includes Milonga, tango demonstration and OPEN DINNER BUFFET & DRINKS. 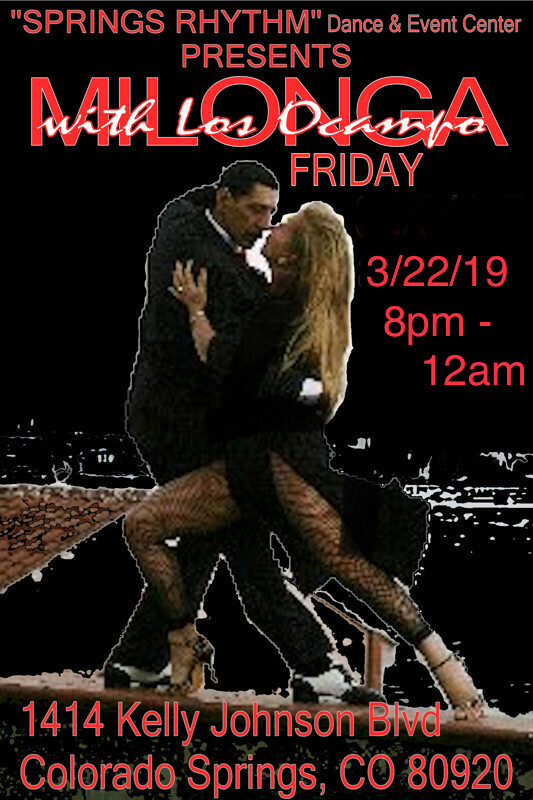 Milonga is $10 only for the participants of the “Intro To Tango” Class that will take place before the party at 6:00pm.